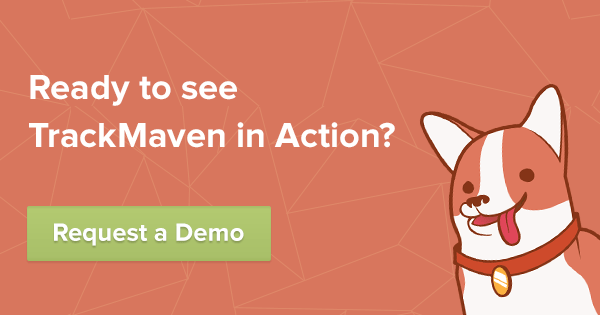 Wish you could boost the reach of your Instagram content? Join the club. Instagram launched sponsored content as a pilot program in November 2013, but has remained a white-glove service for a handful of of brands, including Adidas, Ben & Jerry’s, Burberry, General Electric, Lexus, Levi’s, Macy’s, Michael Kors, PayPal, and Starwood. Speculation continues to brew around when and how Instagram will officially roll out its advertising capabilities to the network at large. In the meantime, here’s the essential Instagram knowledge every content marketer needs to know to prepare for when Instagram ads (inevitably!) become available to all. What Do Instagram Ads Look Like? Like ads on its parent company, Facebook, Instagram ads maintain a native feel in the platform’s feed. Advertisements are distinguished only by a “Sponsored Content” disclaimer in the top-right corner of the post. 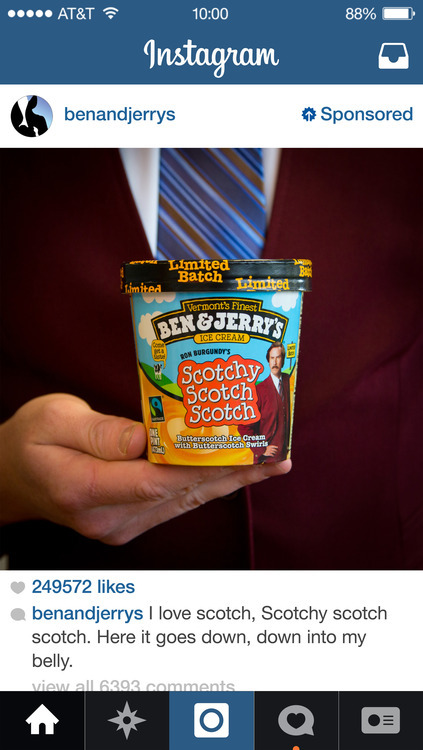 Instagram even released case studies on the early success of their first sponsored campaigns from Ben & Jerry’s and Levi’s. The case studies report on the success of the campaigns in terms of reach, ad recall, and brand awareness. Across these metrics, the campaigns reportedly reaped high return from a low frequency of ad impressions, suggesting a high ROI for early adopters. 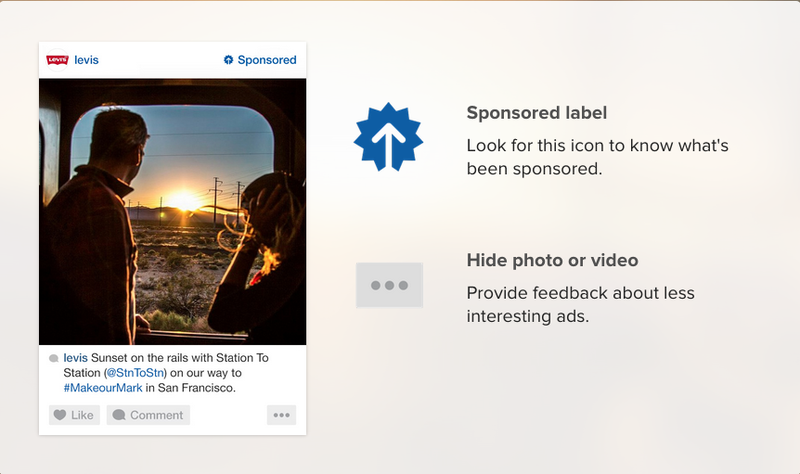 How Are Instagram Ads Targeted? This is where Instagram’s parent company, Facebook, comes in again. According to Instagram, information from users’ Facebook accounts will help “to create a more relevant experience” for recipients of Instagram ads. However, these targeting capabilities come with a hefty price tag (for now, at least). The monthly cost of an Instagram ad campaign is rumored to cost in the ballpark of $500,000 in premium pilot stage. While Instagram rivals Twitter’s user base in number, Instagram’s hold on the youth demographic makes it particularly attractive to advertisers. According to Pew research, while Facebook remains the most popular social network among online U.S. adults, roughly half of all internet-using young adults (ages 18-29) use Instagram (53%). Beyond having the youth demographic cornered, Instagram also boasts an unparalleled ratio of followers to interactions. According to our analysis of 24 months of marketing activity from 8,800 B2B and B2C brands, Instagram stands alone as a network primed for mega-interaction. On Instagram, raking in only a handful of likes and comments is a rarity; only 10% of Instagram photos and 6% of Instagram videos receive 10 or fewer interactions. Again, compare that to Twitter, Pinterest, Google+, and LinkedIn, where well more than half of all posts receive fewer than 10 interactions (73%, 60%, 65%, and 68%, respectively). Instagram also has the highest percentage of viral content (posts with greater than 250 interactions); overall, 49% of Instagram pictures and 60% of Instagram videos get that level of engagement. 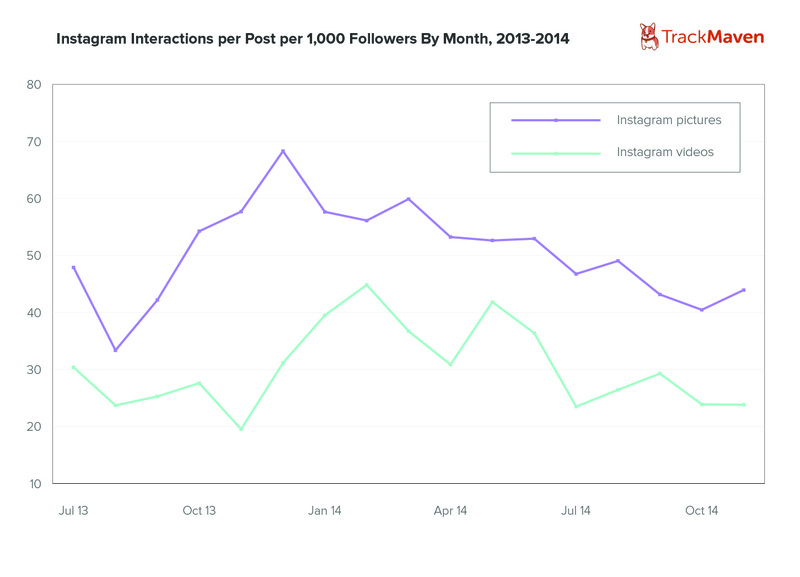 How Can Marketers Cut Through The Noise On Instagram? Shelling out money for sponsored content is one way to get your posts in front of a broader audience, but there are also a few tactical tips that can extend the reach of your content organically. We put our analytics platform to work to better understand how the biggest brands are leveraging Instagram’s hyper-engaging platform, and discovered a few key trends amongst the most popular Instagram content. 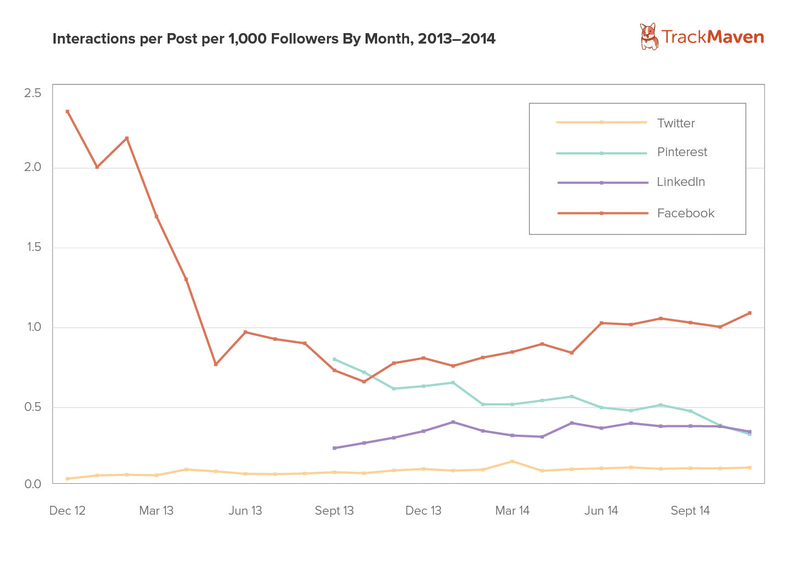 We found that there is in fact a sweet-spot when Instagram videos thrive. 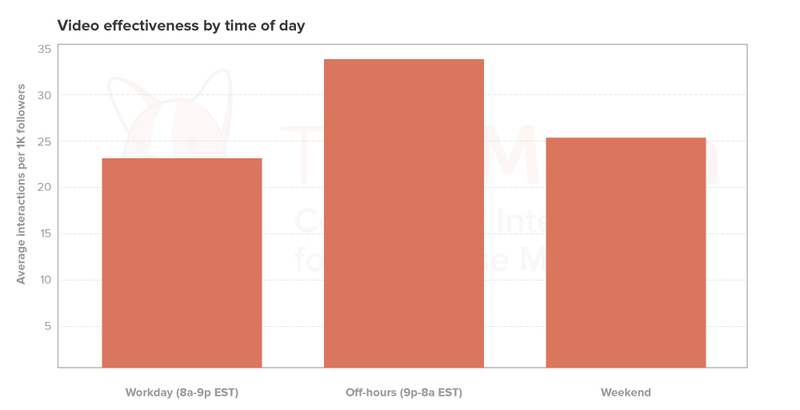 Specifically, Instagram videos posted during off-hours (9pm – 8am EST) get nearly 50% greater average interactions than videos posted during the workday (8am – 9pm EST). This finding suggests that Instagram users are more likely to engage with videos when not at work, presumably because of the audio component of video. 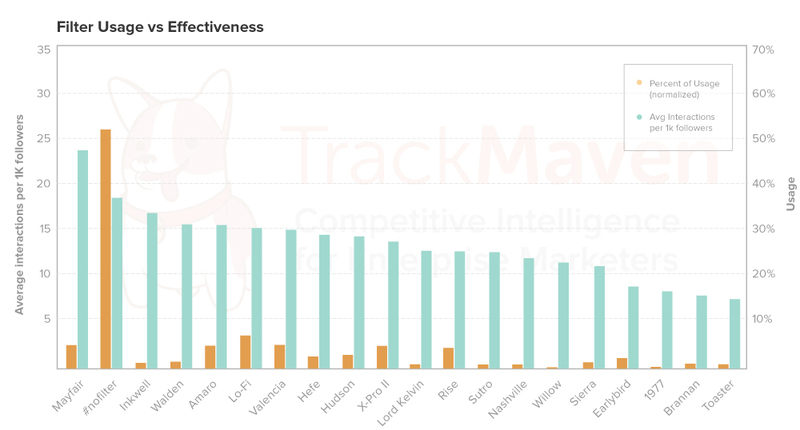 Among the Fortune 500 brands we analyzed, “no filter” is actually the most popular Instagram aesthetic (likely because art departments at these big brands are carefully crafting and touching-up photos before posting). 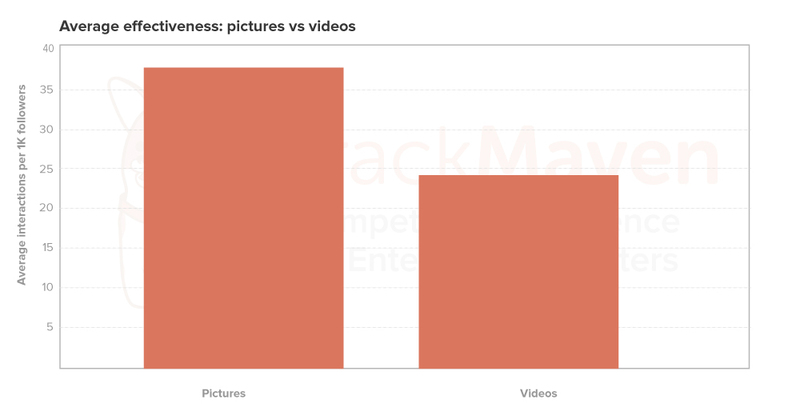 However, photos with the Mayfair filter see the most engagement on average. Our research shows that on Instagram, hashtags are an incredibly effective tactic for getting your content discovered by broader audiences. There is a strong correlation between the number of hashtags used and the number of interactions with Instagram content. That said, don’t overdo it. 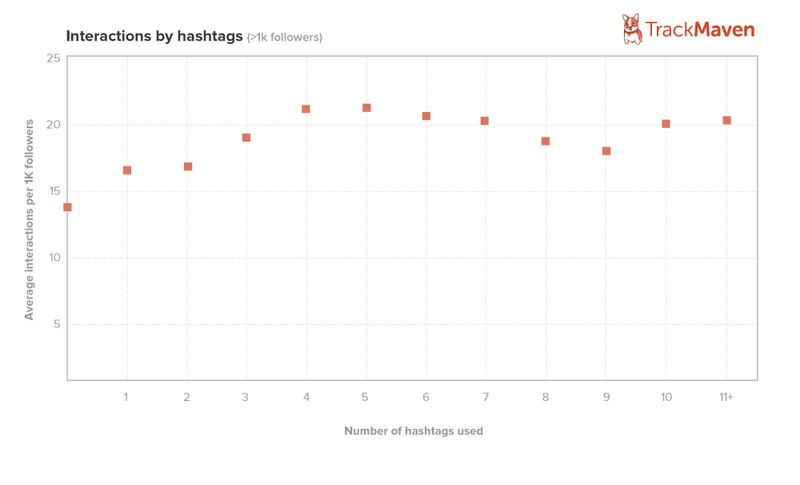 We found a steady increase in average interactions up through four to five hashtags per post, after which the average interactions per post actually drops. For more Instagram insights, you might like Why You Should Envy GoPro’s Instagram Strategy (And How You Can Emulate It) or Challenging Conventional Wisdom on Instagram: The Bouqs and Adobe Case Study.